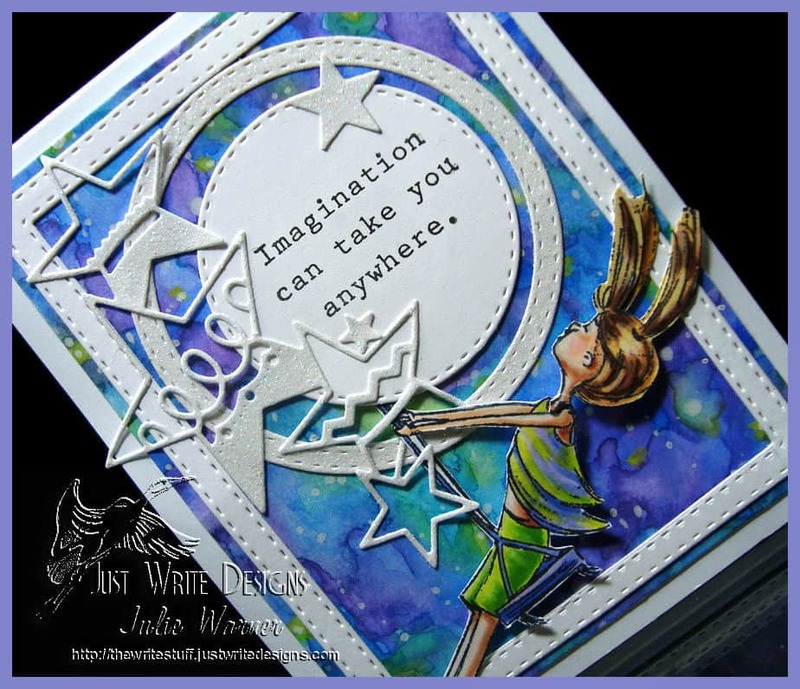 Today’s Color Challenge (CC637) on Splitcoast, is wasabi, sugarplum & daffodil. 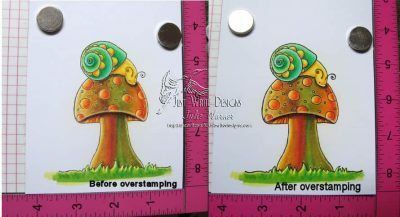 The green & pink are obvious but I only used a little yellow for her hair. 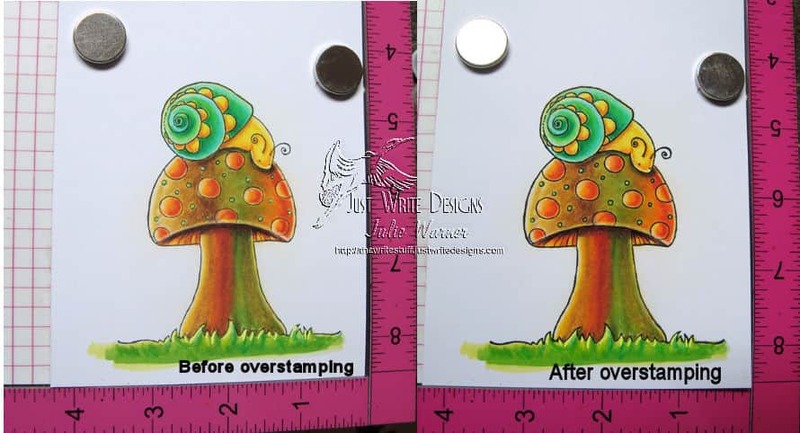 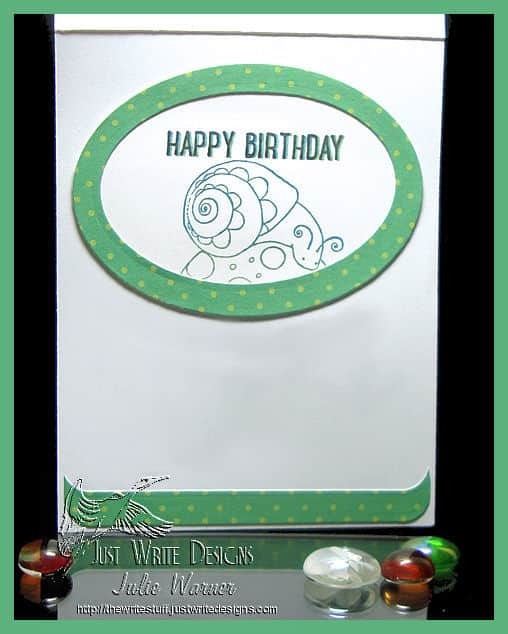 For the green background, I put the die cut panel into my Misti and stamped it first w/ the bamboo ink then shifted it slightly & stamped again w/ the white pigment ink to get that shadow effect. 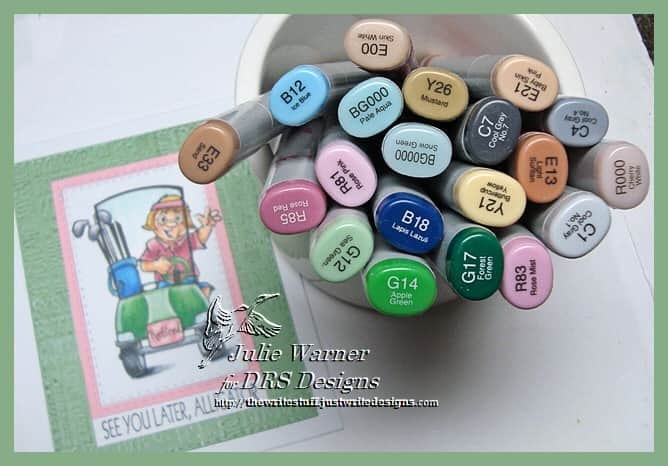 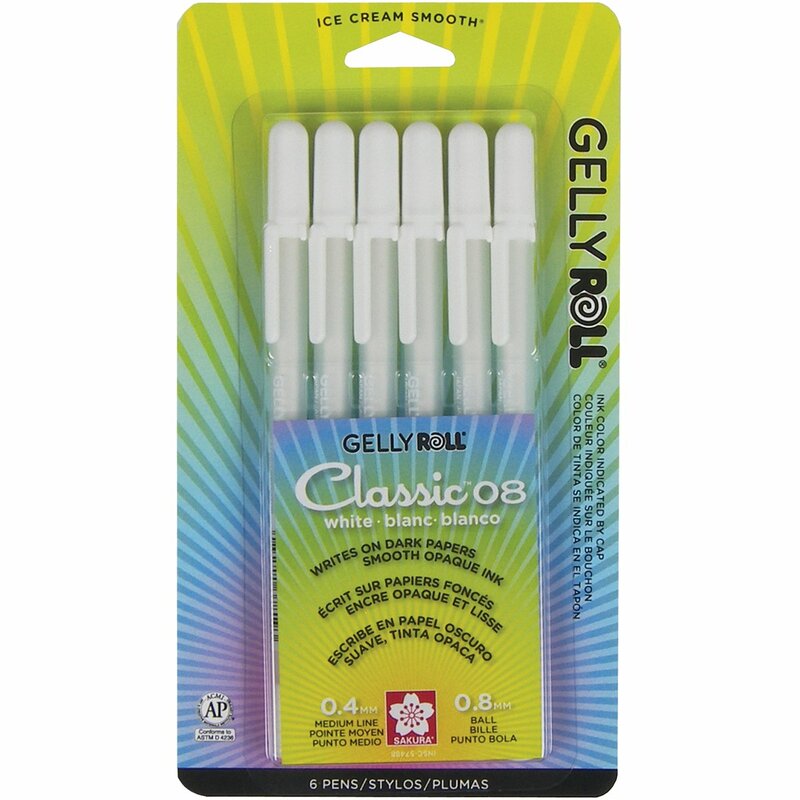 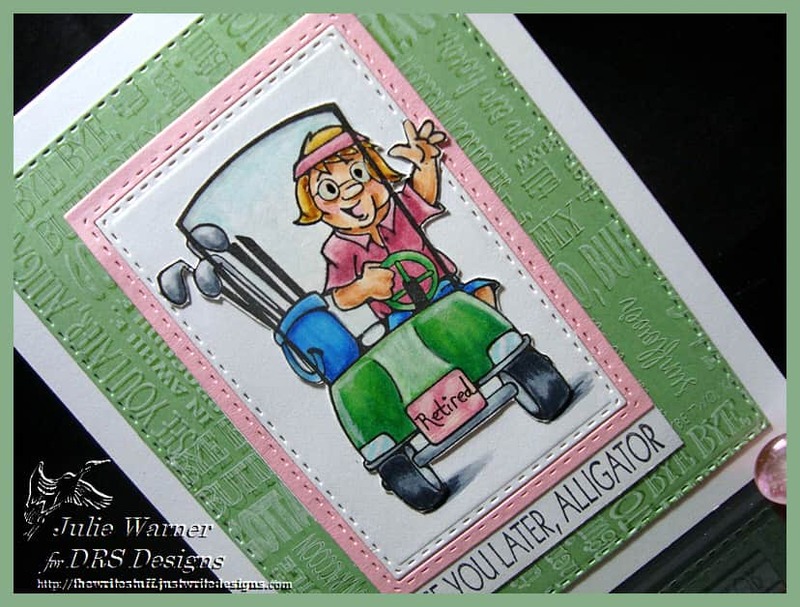 The golf lady was stamped, colored, fussy cut & I wrote Retired on her license plate. 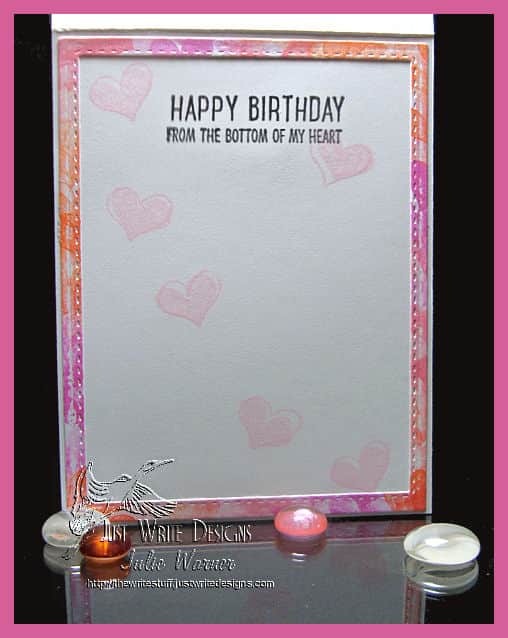 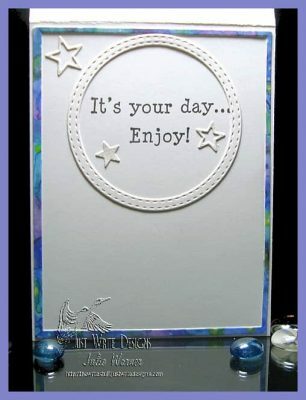 Part of the background stamp was used for the greeting below her. 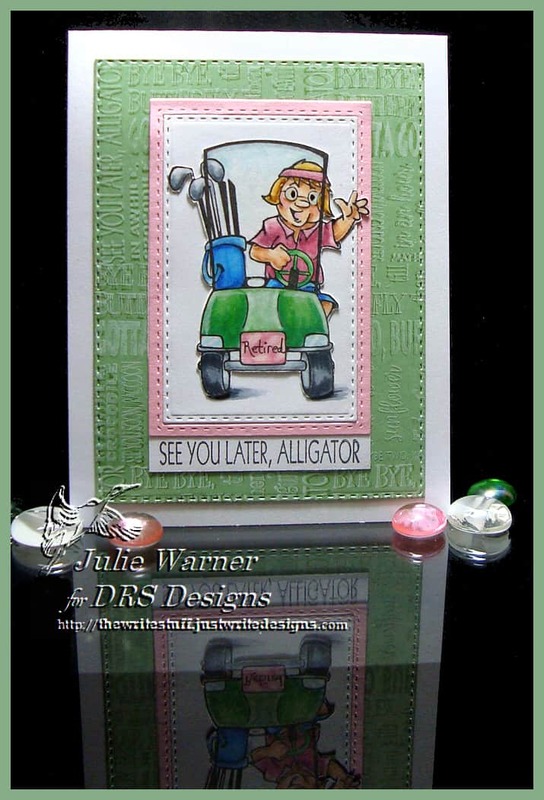 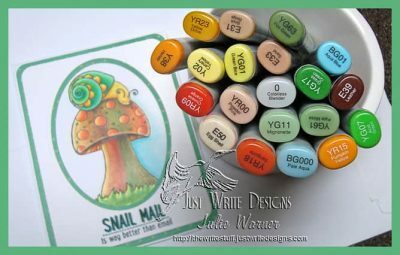 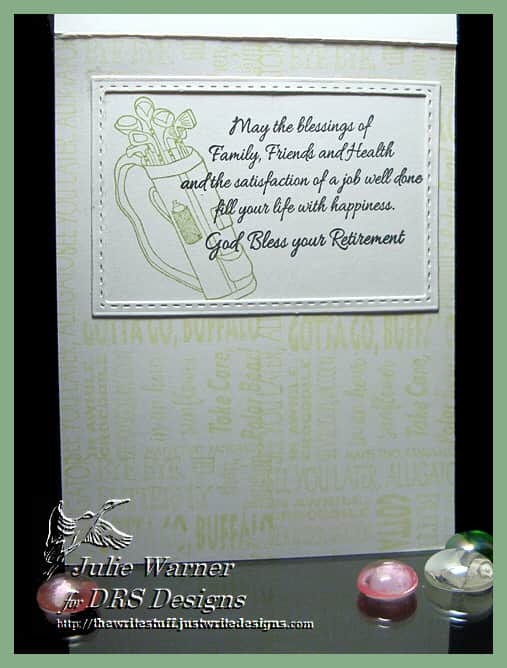 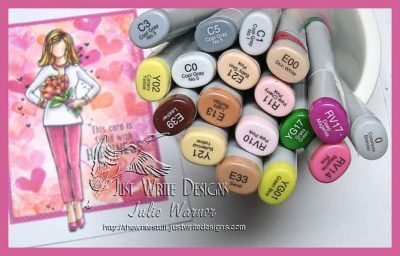 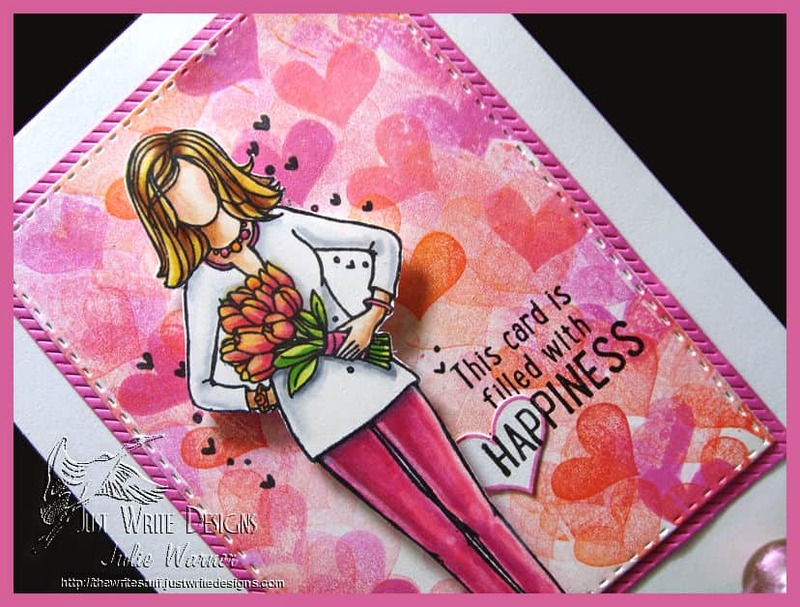 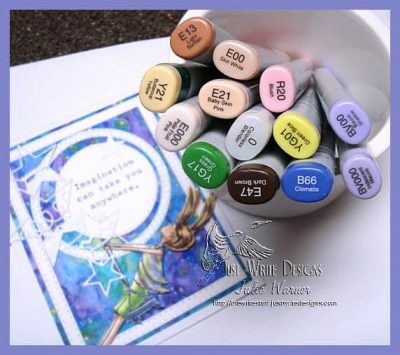 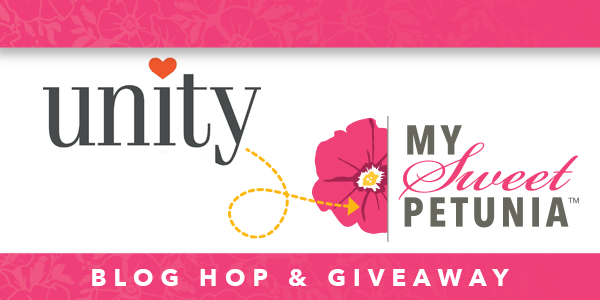 A big congrats to Shirley, the newest Featured Stamper on Splitcoast! 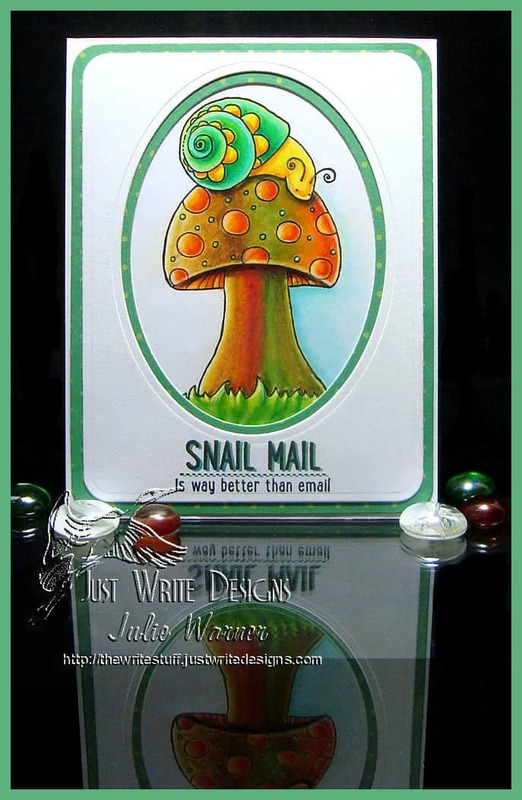 She has lovely little gallery and I chose THIS to case. 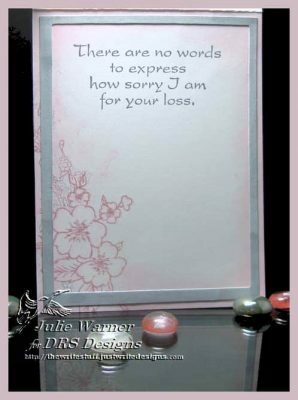 I kept the flowers theme & framing, but I used different images, different colors, added a couple of frames & made mine a sympathy card. 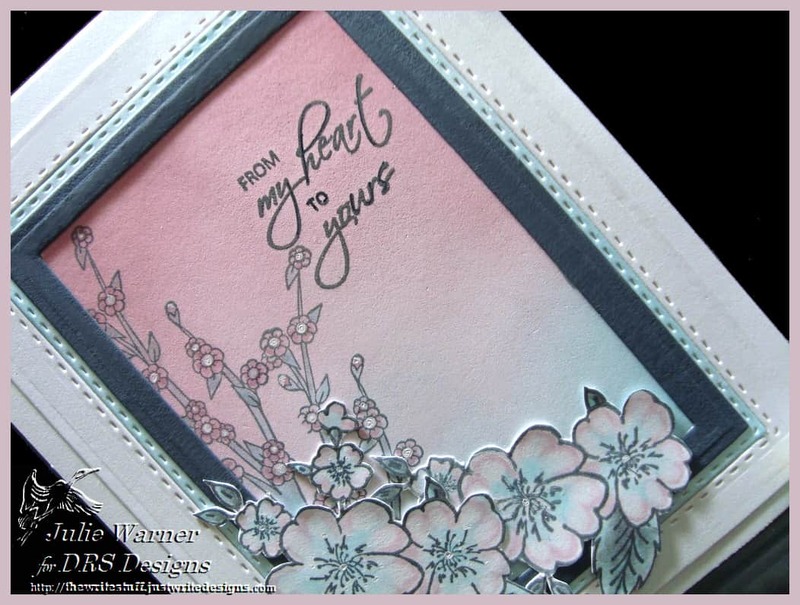 After die cutting the white panel a couple of times, I sponged the pinks & aquas onto the center one, then stamped the greeting & flower branch w/ the gray ink. 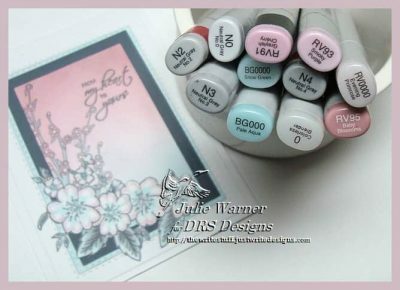 A little color was added to the flowers & I used a white gel pen for the centers. The narrowest stitched frame was sponged aqua to match (since I didn’t have any card stock to match) & I added a gray mat inside. 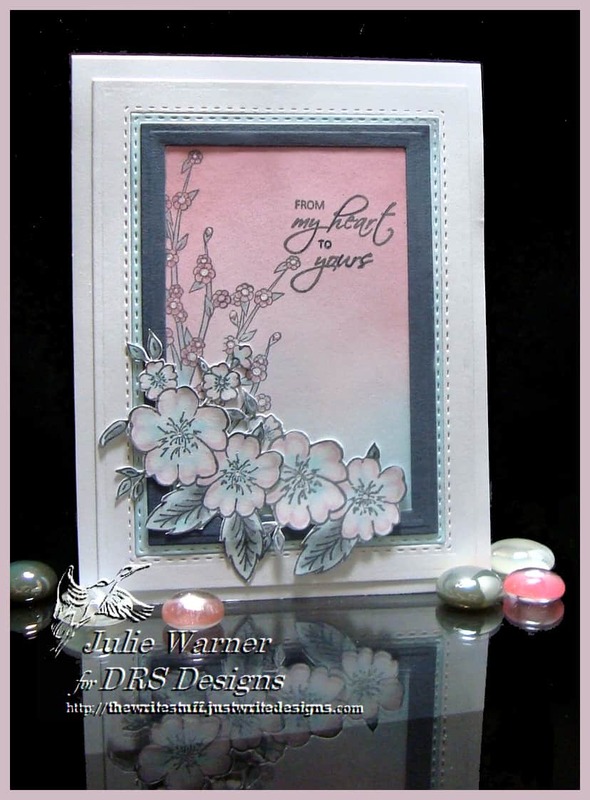 The dogwoods were stamped w/ gray, lightly colored w/ Copics & fussy cut to add on top of the frame.